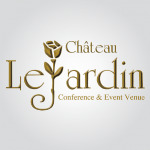 Chateau Le Jardin Conference & Event Venue boasts over 38,000sq. ft. of beautifully appointed Function Space. The award winning, French inspired decor features Elegant Ballrooms, bright stunning foyers with soaring 30 ft. ceilings, fireplaces and walkout to courtyards. The venue was strategically designed to host a wide range of events in sheer comfort and sophistication. Chateau Le Jardin's professional service and exquisite cuisine have turned dreams into reality for over 25 years! © Copyright 2019 EventByMe.com. All Rights Reserved.